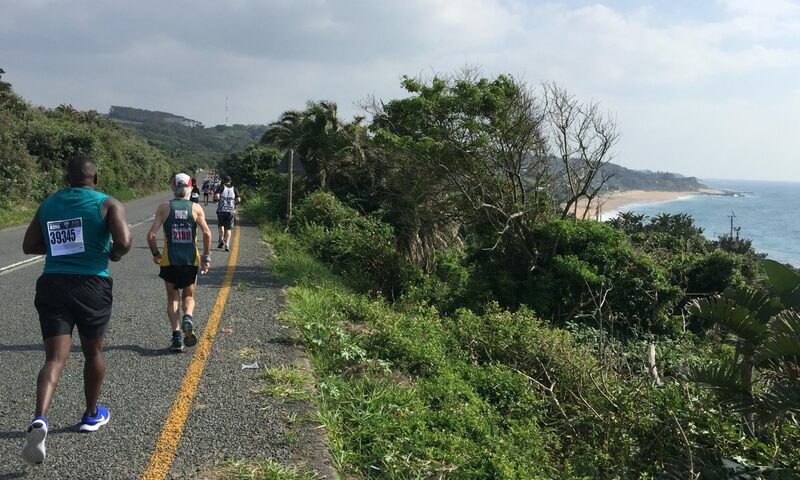 29 Marathons started, 29 marathons finished (22 standards, 7 ultras); All nine provinces (plus three neighbouring countries) covered. 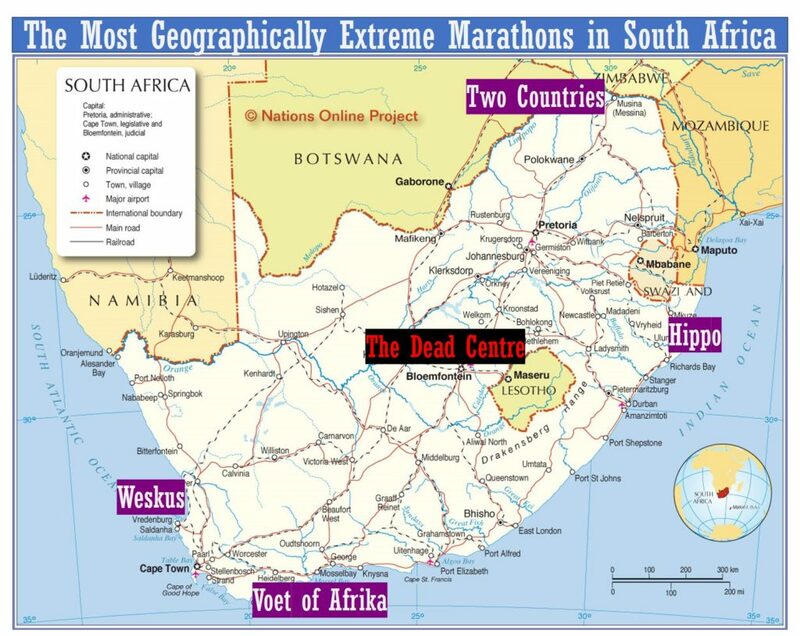 I recently researched the most geographically extreme marathons in South Africa. This quickly led to me wondering which is the most central. 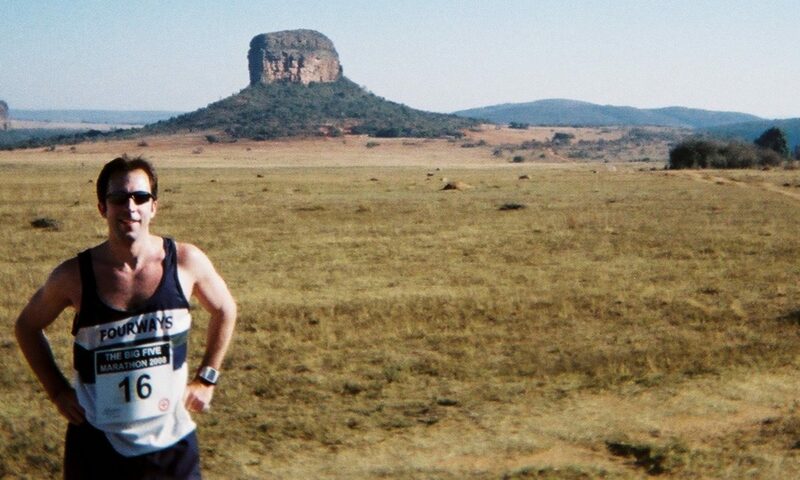 It turns out that the geographic centre of South Africa is very close to Bloemfontein. I’ve seen many people use the word ‘literally’ when they mean figuratively (e.g. as in, “I’ve literally seen thousands of people using ‘literally’ incorrectly.”). 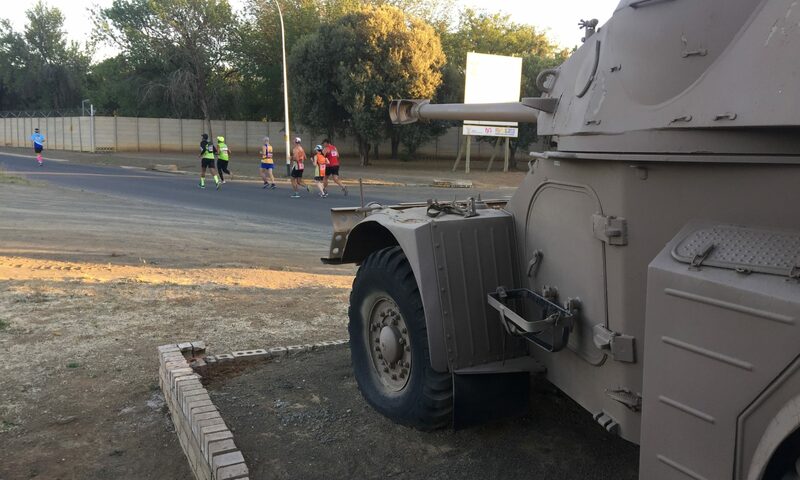 However, if you were to say, “Bloemfontein is the dead centre of South Africa.” this would be true in both the literal and figurative sense of the term.